Looking for high-potential stocks? Just follow the big players within the hedge fund industry. Why should you do so? Let’s take a brief look at what statistics have to say about hedge funds’ stock picking abilities to illustrate. The Standard and Poor’s 500 Index returned approximately 7.6% in the 12 months ending November 21, with more than 51% of the stocks in the index failing to beat the benchmark. Therefore, the odds that one will pin down a winner by randomly picking a stock are less than the odds in a fair coin-tossing game. Conversely, best performing hedge funds’ 30 preferred mid-cap stocks generated a return of 18% during the same 12-month period. Coincidence? It might happen to be so, but it is unlikely. Our research covering a 17-year period indicates that hedge funds’ stock picks generate superior risk-adjusted returns. 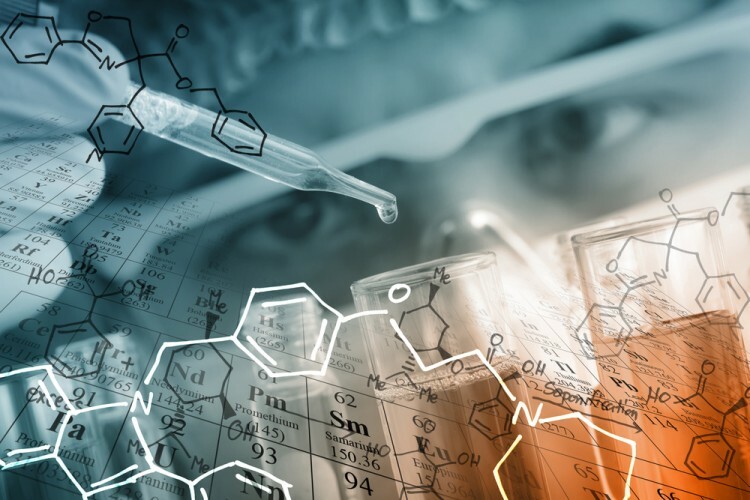 That’s why we believe it is wise to check hedge fund activity before you invest your time or your savings on a stock like Bio-Rad Laboratories, Inc. (NYSE:BIO). Is Bio-Rad Laboratories, Inc. (NYSE:BIO) going to take off soon? Prominent investors are becoming more confident. The number of long hedge fund positions rose by 7 lately. 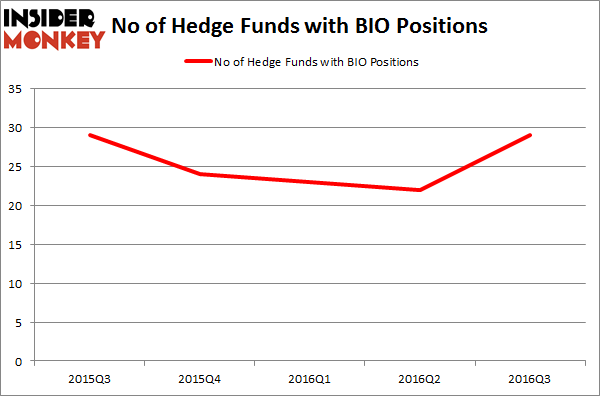 BIO was in 29 hedge funds’ portfolios at the end of September. There were 22 hedge funds in our database with BIO positions at the end of the previous quarter. At the end of this article we will also compare BIO to other stocks including Techne Corporation (NASDAQ:TECH), HollyFrontier Corp (NYSE:HFC), and Store Capital Corp (NYSE:STOR) to get a better sense of its popularity. Follow Bio-Rad Laboratories Inc.Follow Bio-Rad Laboratories Inc.
Keeping this in mind, we’re going to review the latest action surrounding Bio-Rad Laboratories, Inc. (NYSE:BIO). How have hedgies been trading Bio-Rad Laboratories, Inc. (NYSE:BIO)? At the end of the third quarter, a total of 29 of the hedge funds tracked by Insider Monkey were long this stock, a boost of 32% from the previous quarter. With the smart money’s capital changing hands, there exists a few notable hedge fund managers who were increasing their holdings significantly (or already accumulated large positions). When looking at the institutional investors followed by Insider Monkey, Ariel Investments, managed by John W. Rogers, holds the most valuable position in Bio-Rad Laboratories, Inc. (NYSE:BIO). According to regulatory filings, the fund has a $156.9 million position in the stock, comprising 1.9% of its 13F portfolio. Sitting at the No. 2 spot is Keith Meister of Corvex Capital, with a $79.8 million position; the fund has 1.5% of its 13F portfolio invested in the stock. Remaining professional money managers that hold long positions encompass John A. Levin’s Levin Capital Strategies, Israel Englander’s Millennium Management and Ken Fisher’s Fisher Asset Management. Five Dow Jones Stocks That Can Outperform The Market The Big Short’s Michael Burry Reveals His New Stock Picks 5 Stocks Hedge Funds Are Betting Against Insiders 5 Micro-cap Stocks Billionaires Love The Most Constellium NV (CSTM): This Metric Is Giving A Huge Buy Signal Is Becton Dickinson and Co (BDX) A Good Stock To Buy Right Now?